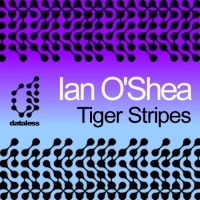 Dataless favourite Ian O'Shea's delivers his brand new single for the label fresh from remixing the new Sparky Dog single "Now You're Gone on Discover Deep. Tiger Stripes is a club anthem in the making with a dirty house riff and bags of influences thrown in to the pot. Sparky Dog returns the remix favour with an electro take on the original. 'Tiger Stripes' is available now from Beatport and iTunes.